Tour Scotland St Monans Coastline. A bright spell of weather today in my home area of the East Neuk of Fife, Scotland. Tour Scotland Pictish Symbol Stones. The particular stone is located on the side of the round tower at Abernethy. It was found in the village of Abernethy, Perthshire, Scotland. 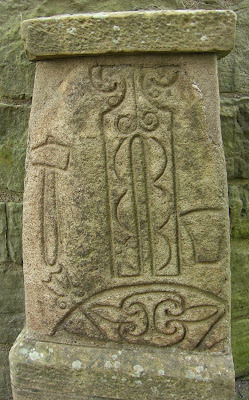 Visible on the stone are: A tuning fork in the centre, with crescent and V-rod below, a hammer to the left and an anvil to the right. Part of the whorl-ended handle of the tuning fork has been removed. The central decoration of the crescent and V-rod is called a pelta pattern. Tour Scotland Arbroath Abbey. This Scottish Abbey was the scene of the signing of the Declaration of Arbroath of 1320, which asserted Scotland's independence from England. Tour Scotland Jougs. 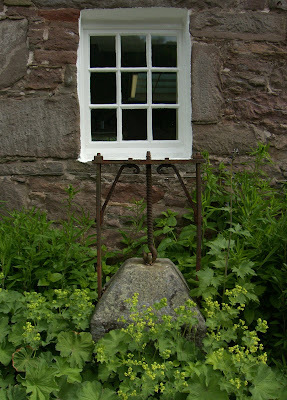 These Jougs at Meikleour are easily missed as you drive through this Perthshire village. The jougs was an instrument of punishment formerly in use in Scotland. It was an iron collar fastened by a short chain to a wall, often of the parish church, or to a tree or standing stone. The collar was placed round the offender's neck and fastened by a padlock. Tour Scotland River Ericht February. 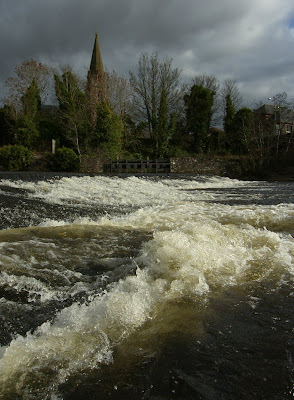 The River Ericht runs close to the centre of Blairgowrie and takes its name from the Scots Gaelic word for beauteous. The banks of the river provide good walks at any time of year with plenty of opportunities for photography. I shot the photograph above at 12 noon today. 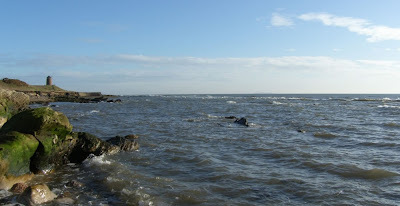 Tour Scotland Fife Coastal Path. The Fife Coastal Path is a Scottish long distance footpath that runs from North Queensferry by the Forth Bridfge, to Tayport, by the Tay Bridge. I shot the photograph above near St Monans in the East Neuk of Fife, Scotland. Tour Aberdeen, Tour Edinburgh, Tour Glasgow, Tour Inverness, Ancestry Tour of Scotland. 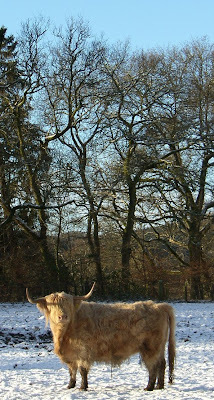 Best Scottish Tours, Best Scottish Food, Best Scottish Hotels, Small Group Tours of Scotland, Rent a Cottage in Scotland. Tour Isle of Skye. Tour Scotland. Ancestry Research Scotland, Birdwatching Scotland, Guidebooks Scotland, Edinburgh Travel Guides, Coast Scotland, Guidebooks Scotland, Scotland Maps, Self Catering Scotland, Scottish Whisky, Homecoming Scotland 2009, Bargain Hotels Scotland, Tour Scotland. Tour Scotland Snowdrops. Snowdrops can be found throughout the one hundred acres of beautiful gardens and grounds of Scone Palace, Perthshire, Scotland. From Lime Avenue and in the shadow of towering conifers, to the woodland walk and wild garden. 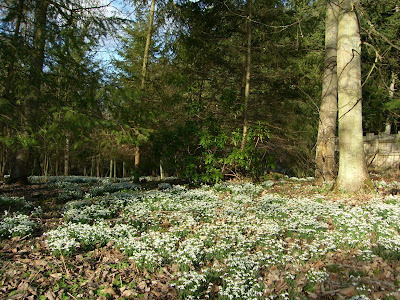 The majority of snowdrops at Scone Palace are the Galanthus nivalis. Tour Scotland Snowdrops. 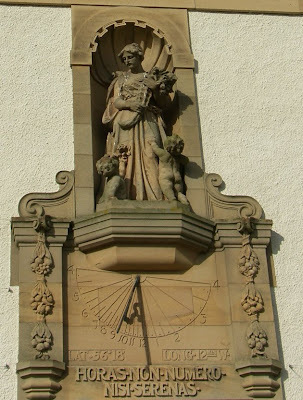 Tour Scotland North Fife Sundial. 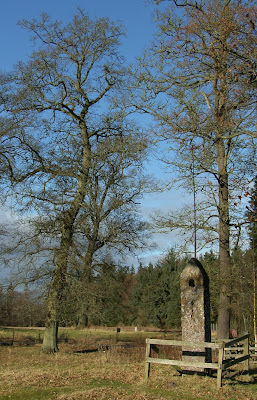 The Sundial, today, at the Hill of Tarvit mansion house and gardens in Fife, Scotland. Tour Scotland Rainbows and Showers. 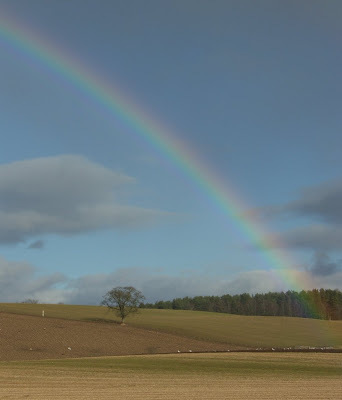 Bright sunny spells and rainshowers tend to provide the perfect conditions for rainbows in Scotland. This was the case today. 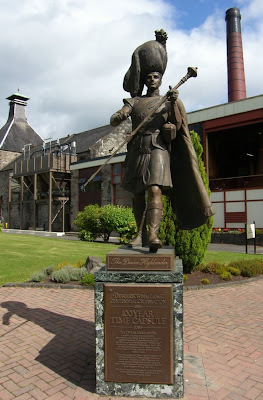 Tour Dewars Distillery, Aberfeldy, Perthshire, Scotland. Tour Scotland Rural Folk Museums. There are some excellent rural folk museums in Scotland, with antiquarian farming machinery, reconstructed farm steadings with farmer's cottages as part of the exhibition. Tour Scotland St Andrews Bay, Fife, Scotland. Some sunshine today on the East Coast of Scotland. 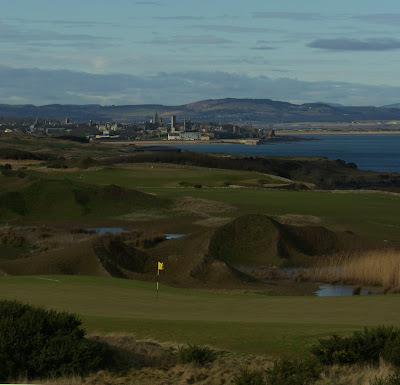 Took this photograph from St Andrews Bay Golf Course. A good place to view the the medieval skyline of St Andrews. Tour Scotland Along With The Scottish Sheep. 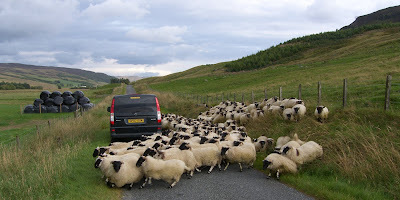 When driving the narrow roads of the beautiful countryside of Scotland, you will often come across sheep being moved from one location to another. Best idea is simply to pull over to the side of the road, switch off the engine of your vehicle, and let the sheep pass by. And if you are like me, you will take the opportunity to take a few photographs. Tour Scotland Z-Bend. Driving through Rural Scotland, through attractive byways, you have to exercise caution whenever you see a Z Bend sign, especially on narrow roads. Tour Scotland Misty February. Dull and misty today in Scotland. 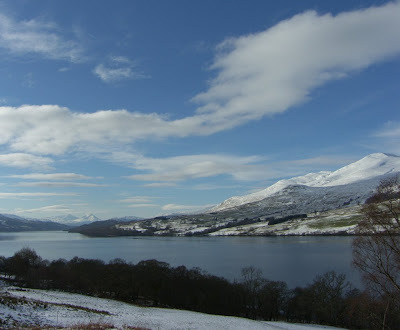 Tour Scotland South Loch Tay. The road which runs along the South side of Loch Tay is one of those roads less travelled in this area. But, Summer or Winter, Spring or Autumn, this road provides wonderful views. Tour Scotland Winter Loch Dwelling. 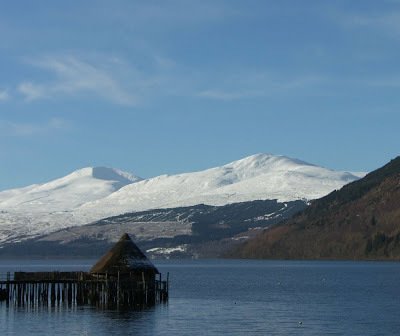 This type of ancient loch dwelling, called a Crannog, is found throughout Scotland. Most are circular structures that seem to have been built as individual homes to accommodate extended families. The photograph above was taken at Loch Tay, Perthshire, Scotland. Tour Scotland Winter Loch Dwelling. 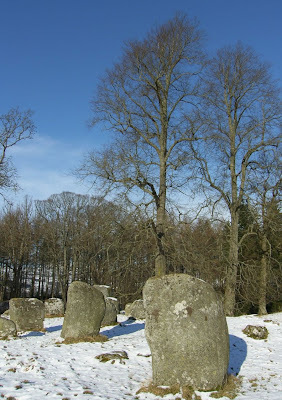 Tour Scotland Winter Standing Stones. This standing stone circle is located between Kenmore and Aberfeldy, Perthshire, Scotland. A beautiful day at Loch Tay, Perthshire, Scotland. In winter, with snow on the mountains, this area of Scotland can be spectacular. Tour Scotland Winter North Fife. 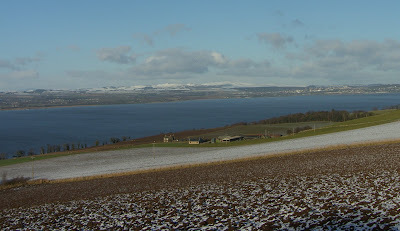 A winter view of the rich farmland of North Fife, with views over the River Tay to Tayside and Dundee. 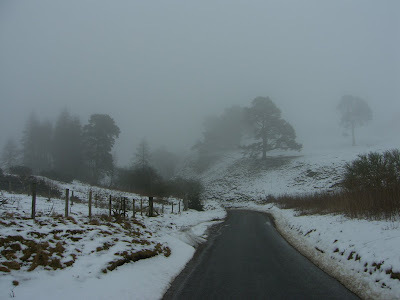 Tour Scotland Winter Southern Perthshire. 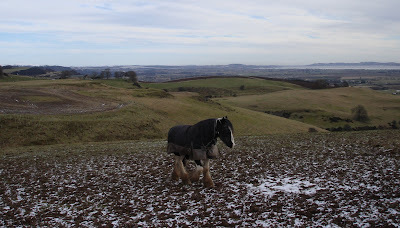 A dull and rather cold Sunday in Southern Perthshire, Scotland. This Heavy Horse is well wrapped up against the chilly temperatures. Tour Scotland Cellardyke Winter Coastline. 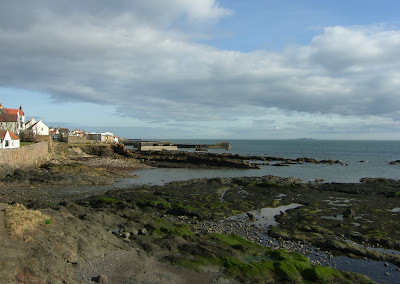 Spent some time today, on the coast at Cellardyke, East Neuk of Fife, Scotland. A rather cold and dull February day, not the best day to visit this area, but, as it is the area in which I was raised in Scotland, I tend to return quite often. Tour Cellardyke Scotland. Tour Scotland Winter Highland Cattle. 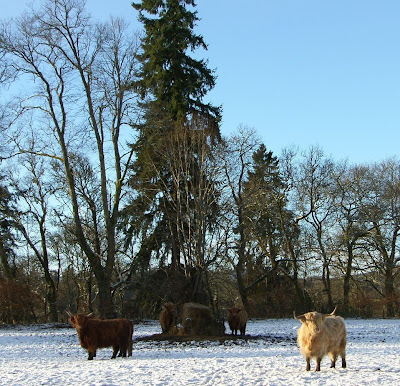 A beautiful morning in Highland Perthshire, came across these Scottish Highlanders, and had to stop and take some photographs. Tour Scotland Winter Highland Cattle. Tour Scotland February Dawn. 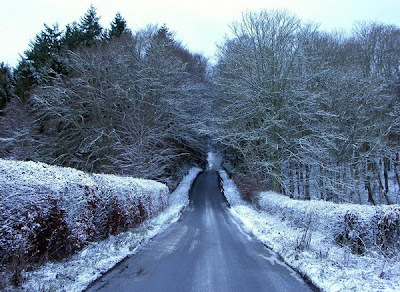 Not too much snow this morning, the narrow country roads were icy though. Tour Scotland February Dusk. 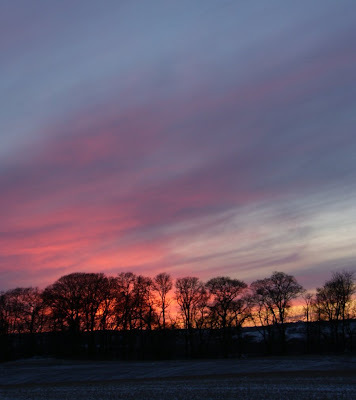 An interesting sunset today, at 5pm, in Scotland. Tour Scotland February Snow 2009. Though most of the main roads are clear of snow in Scotland, once you drive up the narrow roads into the hills, things are quite different. Tour Scotland Holyrood Palace. 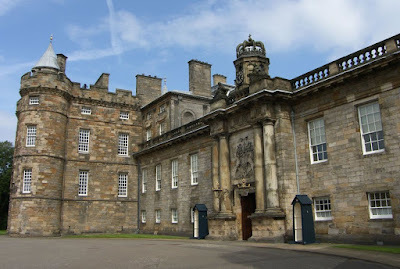 The Palace of Holyroodhouse, or informally Holyrood Palace, founded as a monastery by David I of Scotland in 1128, has served as the principal residence of the Kings and Queens of Scotland since the fifteenth century. The Palace stands in Edinburgh at the bottom of the Royal Mile. The Palace of Holyroodhouse is the official residence in Scotland of Queen Elizabeth II, who spends time at the Palace at the beginning of the summer. Tour Holyrood Palace Scotland. Tour Scotland February Snow. Every kind of weather today, bright and sunny, then dull and cloudy, with prolonged spells of sleet and snow. Tour Scotland Holyrood Abbey. 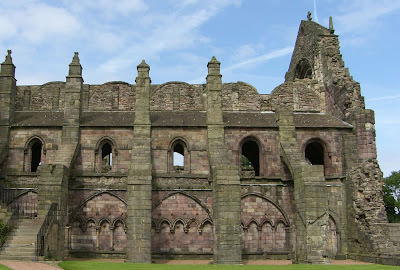 Holyrood Abbey is a ruined Augustinian Abbey in Edinburgh, Scotland. The abbey, which is located in the grounds of the Royal Palace of Holyroodhouse, which it predates, was built in 1128 at the order of King David I of Scotland. Since the fifteenth century, it has been the site of many royal coronations and marriage ceremonies. It also suffered from a number of attacks. During The Rough Wooing by Henry VIII of England, Edward Seymour as Earl of Hertford plundered the abbey in 1544, then as Protector Somerset led a raid causing great damage to the buildings. King James VII established a College of Jesuits in Holyroodhouse and had the Abbey converted in May 1688 to become a Roman Catholic chapel for the Order of the Thistle, with the Protestant congregation being moved to the new Kirk of the Canongate, then in November of that year when the Glorious Revolution brought in William II, Prince of Orange the people of Edinburgh broke in to plunder the kirk and the royal burial vaults. In 1691 the Kirk of the Canongate replaced the Abbey as the local parish church. Restoration work included the roof of the abbey being rebuilt in 1758, but the roof collapsed in a hurricane in 1768, leaving it as it currently stands, a ruin. Tour Holyrood Abbey Scotland.